Please note that the conference dinner is currently full. If there are any cancellations, these will be announced during the Saturday conference session. Everyone attending or presenting at NZABA 2015 will need to register. The registration fee is $130 for those on an income (“waged” in the survey) and free for others. The conference dinner is on a pre-paid basis, and you will need to be pay this ($35.00) at registration. The registration desk will be operating at the welcome function and on Saturday (from 8:00am, during morning tea, and lunchtime). Payment can be by cash (exact change will be appreciated) or, for those with NZ bank accounts, by cheque. We cannot handle payment by credit card. On Friday 21 August, NZABA invites you to a welcome function upstairs in the Ilam Homestead (UCant Staff Club) from 6:00pm. There will be some pizza and nibbles provided. The Registration Desk will be operating during this occasion. The conference dinner will be at Tandoori Palace, Ilam Rd (opposite Ilam School) 7:30pm Saturday. It is a buffet, and the cost is $35 per person, to be prepaid at registration. BYO is available for wine only (there will be a $4 charge per BYO wine-drinker, levied on the glass you get to drink it from). Other drinks can be purchased from the counter. All drinks charges are on a cash basis (i.e., are not included in the $35). The buffet will offer a selection of starters (some will be vegetarian, some items will contain gluten), followed by a selection of curries (some with meat and some vegetarian; we will avoid any positively gluten-containing curries). Lunches and morning/afternoon teas are provided. There will be ample vegetarian and GF options at the lunches. The annual business meeting will be at 3:30 on Sunday 23rd Aug, starting with prizes etc. There are 35 talks scheduled for the conference. This will mean a fairly tight schedule, starting at 8:40 am each day, ending at 5:20 on Saturday and at 3:10 on Sunday. 20 minute time slots have been assigned per talk (to include discussion/question time). There will be two poster sessions, both at lunchtimes. Each session will have about 10 posters. Abstracts for posters will be printed in the conference programme. Posters should be 120cm wide. There is limited space suitable for mounting posters –some will be stuck up over windows, and a few on special mounting boards. Bring BluTak or duct tape to be self sufficient (drawing pins won’t work). We strongly advise against laminating posters as it makes them heavy and inclined to curl. It would make sense to put your poster up during the morning tea break in readiness for the lunch break, but up to you. NZABA is please to host a great range of paper and poster presentations at the University of Canterbury this year. Authors, affiliations and titles of all accepted presentations are listed below. Stay tuned for a complete programme with presentation times and abstracts. We are not able to accept any more presentation submissions at this time. Anthony McLean University of Canterbury Do they stay or do they go? Brett Furlonger Monash University Are the third-generation counselling approaches promoted by Acceptance and commitment therapy, Mindfulness therapy and Dialectical behaviour therapy changing behavioural counselling so much as to make it unrecognisable to Skinner? Joseph Graddy Waikato University A study of the relationship between experiential avoidance, delaying of aversive outcomes, and brief, immediate relational responding. Kate Southcombe University of Auckland Target training as an intervention for horses with float-loading problem behaviour. Katrina Phillips University of Auckalnd IOA: What is it good for? Derek English Monash University An intervention package comprising of video modelling, video feedback and peer mediation to teach adults with ASD social and work skills in a vocational context. Hannah Waddington Victoria University of Wellington Teaching an 8-year-old boy with autism spectrum disorder to approach communication partners in order to request preferred items using an iPad®-based speech generating device. Jessica Barton Victoria University of Wellington Are tones reinforcers for rats? Melissa Janson University of Waikato Making Recycling Positive Immediate and Certain, Using a Recycling ‘Arcade’ in a Public Place. Richard Dagher Monash University An intervention package comprising of video-modelling, video feedback and peer mediation to teach adults with ASD social and work skills in a vocational context. Sadhana Gounden Monash University An intervention package comprising of video modelling, video feedback and peer mediation to teach adults with ASD social and work skills in a vocational context. Shu Fen Chan Monash University An intervention package comprising of video modelling, video feedback and peer mediation to teach adults with ASD social and work skills in a vocational context. The 2015 conference will be hosted by the University of Canterbury in Christchurch. 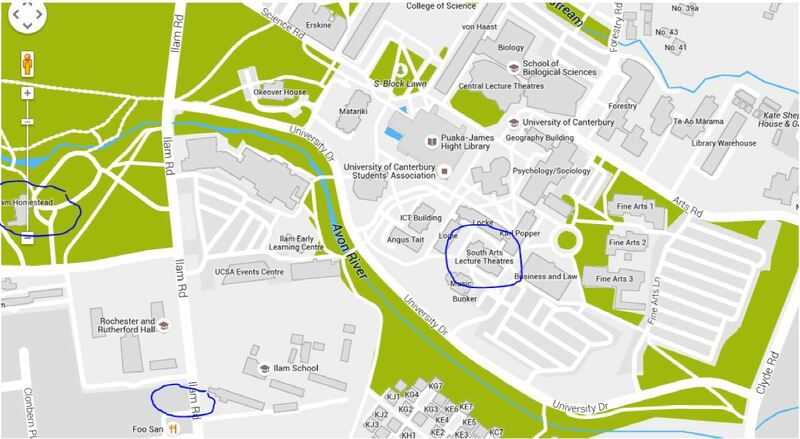 The University of Waikato to host in 2016 unless we identify a new location (see below). Randy Grace (Canterbury) to be the president of NZABA. Anne Macaskill (Victoria) to remain as secretary. Brent Alsop remains treasurer until he has organised with someone from the University of Canterbury to take over. Discussion of the fact that we have been carrying a large bank balance given that the goal of conference fees is to cover our conference costs rather than to make a profit. Suggested that we investigate the idea of holding the conference somewhere new, perhaps outside NZ. As we have had many attendees from Australia recently, holding it there is one possibility. Action: Investigate the possibility of holding NZABA in Australia in the future, perhaps 2016. Agreement to try moving the decision making about student travel grants earlier next year to provide students with some surety about how much they will receive. Money will be given to them at the end of the conference. Only students who present are eligible for funding, and preference will also be given to those who have looked for alternative funding. NZABA will continue not to accept credit card payments? Discussion of the complex issues involved in accepting credit cards. Decided to maintain current options: internet banking, payment with a cheque, payment with cash. Discussion of awarding NZABA membership to a small number of long-time members who have now retired. Geoff White, Bill Temple, and Michael Davison identified as NZABA members who have made a substantial contribution to the organisation and to NZ Behaviour Analysis over many years. Action: Geoff, Bill, and Michael will receive certificates. Thank you to Oliver Mudford for nine years of BCBA CEU coordinating. Welcome Katrina Philips to this role. NZABA’s 11th annual conference was hosted by the Department of Psychology, University of Otago, Dunedin, on the 29th to 31st August, 2014. Despite the travel involved for many attendees, 88 people attended, equalling the number at NZABA in Auckland last year (our highest attendance to date). This included a mix of students, academics, practitioners, and professionals from across New Zealand and Australia. There were 31 paper presentations and 8 poster presentations at this year’s conference, and the standard of talks and posters was extremely high. NZABA again offered Continuing Education Units to practitioners in applied behaviour analysis, administered by Katrina Phillips. The conference’s social activities began with a welcome event on Friday evening at Geoff White’s house. On Saturday evening, there was a tour of the Speight’s Brewery, and a conference dinner at the Speight’s Ale House. These events were very well attended (with a record number of 84 people at the dinner), and allowed conference attendees to mingle with one another. At the start of the conference, Geoff White received a special award in recognition of his outstanding contributions to behaviour analysis in New Zealand. Two student presentation prizes were awarded this year. John Bai (The University of Auckland) received the EAB award for his talk entitled “Response rates and persistence after response-contingent food and additional stimuli”. Mitchell Stevenson, Shaun Pearl , Vanessa Rausa, and Simon Finkelstein (Monash University) jointly received the ABA award for their talk entitled “Teaching job skills to adults with ASD: Efficacy of video modelling”. Congratulations to these students on their awards, and thank you to all student presenters for contributing to an excellent programme. At the end of the conference, Brett Furlonger passed the (now lost) Hatchet/Bullroarer to Katheryn Neilson (Victoria University of Wellington) for teaching him about his own gambling behaviours. Katrina Phillips passed the Spear to Randy Grace (University of Canterbury) for the use of various “mentalisms” throughout his talk. The University of Canterbury in Christchurch was confirmed as the venue for the 2015 conference, and Celia Lie handed over the Chair/President role to Randy Grace, Anne Macaskill stays on as Secretary, and the Treasurer role is currently in negotiation. Thank you to everyone who helped organise NZABA 2014. Special thanks to Geoff White for hosting the welcome event at his house, and for making many, many pizzas to cater for the hungry crowd. We look forward to seeing everyone at NZABA 2015 in Christchurch. COMPLETE CONFERENCE PROGRAMME OUT NOW! The complete conference programme is now available for download below. This includes general information about the conference, as well as complete titles, authors, and abstracts for all presentations. The programme will also be available in booklet form at the registration desk on Saturday at the conference.